We offer a range of climbing coaching from beginner to advanced levels. Our ethos is simple – to offer the best coaching through well thought-out, tailored courses delivered by a friendly team of the UK’s highest qualified instructors. 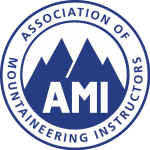 This two day course is designed for climbers who want to push their skills and grade further. Throughout the course you'll receive personalised coaching that will enable you to tackle the climbs you've always wanted to do. We offer a bespoke coaching service for boulderers, sport and trad climbers. Every session will be completely bespoke and tailored to your ability and aspirations.